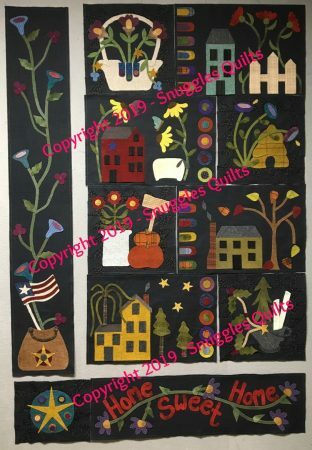 Welcome the crisp fall season into your home with this wall hanging of colorful leaves falling on a plump pumpkin. 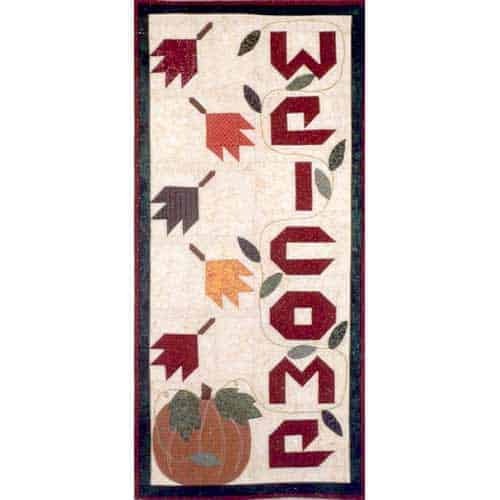 Measuring 14″ x 32″, this Welcome Fall quilt features brightly-colored pieced maple leaves & letters combined with appliquéd leaves on an embroidered vine leading to an appliquéd pumpkin. 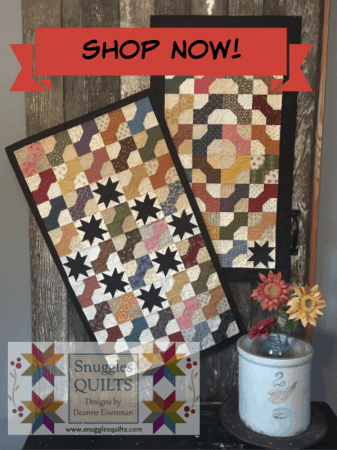 Delight your guests & family alike with this beautiful wall hanging that invites us to enjoy the season!